Enter through the gates of High Valley Ranch to find this magnificent custom built home on over 2 acres, No stone has been left unturned in the design, engineering and high end finishes. Enjoy amazing sunsets from over 1500 ft of Trex covered deck with panoramic views. While entertaining, listen to the cascading waterfall in the lush canyon below and view soaring mountains in the worlds largest Ponderosa Pine Forest This light filled luxury home with soaring ceilings, has a perfect live on one level private retreat plus separate downstairs space for family and friends to entertain lavishly. 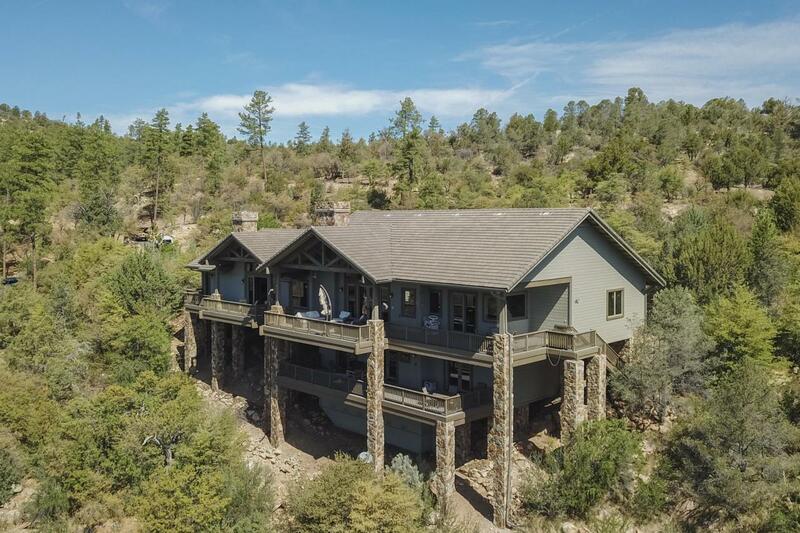 This magical home is located just 10 minutes from downtown Prescott.